Kirsty Howard was an inspirational girl who grew into a remarkable young woman. She was one of just two children in the world to have been born with a back-to-front heart and was given weeks to live when she was just four years old. Her organs were displaced, severely restricting her daily life, but her determination to survive was astonishing. She defied doctors by surviving and just over four weeks ago, celebrated her 20th birthday. Sadly, however, Kirsty lost her battle with her condition last night, but she leaves behind a legacy that will help improve the lives of thousands of children who have life-limiting conditions. 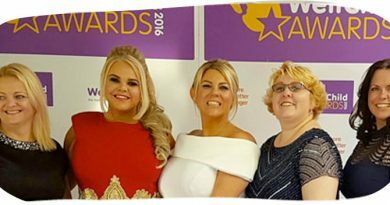 Kirsty raised more than £7.5 million for Francis House Children’s Hospice, which offers care and support to life-limited children, young people and their families free of charge. 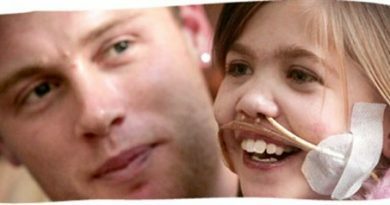 The hospice became Kirsty’s lifeline when she was growing up, giving her a fun and safe environment in which to relax and socialise with other life-limited children and young people. It also gave her parents – who provided her with the round-the-clock care she needed on a daily basis – a much needed break. Her extraordinary fundraising efforts won the hearts of countless people and celebrities, and inspired Mohamed Al Fayed, and later his daughter Camilla, to support Kirsty and the hospice. They grew to be true friends. Camilla was also close to Kirsty. Kirsty dedicated her life to raising money for Francis House Children’s Hospice, which offers care and support free of charge to terminally ill children and their families in the area. Remember Kirsty’s courage by offering your support to this fantastic hospice by making a donation. 2001 – Kirsty is the mascot for the 2002 World Cup qualifying match between England and Greece. 2002 – The Pride of Britain Awards honoured Kirsty’s achievements and courage with an award. 2003 – Kirsty started the inaugural Great Manchester Run, and raced herself every year, in her wheelchair 2004 – Kirsty won the Helen Rollason Award for courage at the BBC Sports Personality of the Year. 2014 – The Variety Club honoured Kirsty with its Outstanding Achievement Award. 2014 – Cosmopolitan magazine presented Kirsty with the Cosmopolitan Ultimate Woman of Courage Award.